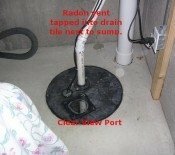 I never thought about radon until my wife was diagnosed with lung cancer in 2010 (44 years old). We do not know if there was any correlation with radon, and she is a life-long non-smoker. At her request, we tested for radon. The tests came back in the mid-50's for radon. As a procrastinator, I did not purchase the system for about a year when she asked again about what needs to be done. I purchased a system from IAHA in Janauary 2012. My project was made a little easier due to the fact that when I built my addition, I had to install a perforated pipe under my slab and run the pipe out the roof. I penetrated the slab on the main part of the house and tied the two vents together. I cut the fan into the vent pipe in the attic and powered it up. 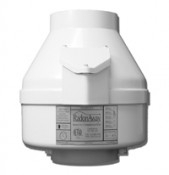 I also purchased the Pro Series 3 Radon Detector from the site. Everything was installed by the end of January 2012. The initial readings on the detector were about 48pCi/L. Today is March 27, 2012 and the reading on the detector is 1.6pCi/L. My wife is cancer-free, and the doctor doesn't feel her cancer was caused by radon and we are also radon-free. Or at least in the acceptable range of minus 4pCi/L. Val was helpful in ordering what I needed. I would highly recommend this site for other DIYer's.